E. Lamen of the work, or general lamen. 1.0 Using wand or sword, circle and seal the area of work. Deosil for theurgic workings, widdershins for thaumaturgic. 1.1 Return to the center of the circle, face east. 1.2 Extend arms to the East, and do several deep breaths, drawing energy from the East and diffusing it throughout the aura. 2.1 Do sign of Harpocrates, then hold wand or sword vertical before the chest, other arm down at side. 2.3 Draw all the energy down into the chakra at the base of the spine. 4.0 Recite the First Enochian Call. 4.1 Go the East. Draw hexagram of Air. Project through the hexagram, into the realm of Air. Try to see or sense the inhabitants gathering about, attracted by your arrival. Absorb as much energy from them as possible and draw it back into the circle. 4.2 Go to the South. Draw the hexagram of Water. Project through the hexagram into the realm of Water. Try to see or sense the inhabitants gathering around you, attracted by your arrival. Absorb as much energy from them as possible and draw it back into the circle. 4.3 Go to the West. Draw the hexagram of Fire. 4.4 Go to the North. Draw the hexagram of Earth. 4.5 Return to the East to complete the circle. For invocations of the four Seniors or Kings associated with a particular planet. 5.0 Recite the First Enochian Call. 5.1 Go to the East. Make hexagram of Air. Make hexagram of the planet. Vibrate the name of the corresponding Senior from the Air Tablet. In this and the following three points, project through the hexagrams to the realm ruled by that Senior. Attempt to see him standing before you, or to at least sense his presence. Make note of any beings or images that do appear. Whether you see him or not, call him to come to you in your circle. Absorb as much energy as you can and draw it back into the circle. 5.2 Go to the South. Make hexagram of Water. Vibrate the name of the corresponding Senior from the Water Tablet. Project into the Senior's realm as before. 5.3 Go to the West. Make hexagram of Fire. Vibrate the name of the corresponding Senior from the Fire Tablet. Project into the Senior's realm as before. 5.4 Go to the North. Make hexagram of Earth. Vibrate the name of the corresponding Senior from the Earth Tablet. Project into the Senior's realm as before. 5.5 Complete the circle by returning to the East. 6.1 Go to the East. Make hexagram of the element. Vibrate the corresponding Tablet of Union name, and Three Names of God. Make the hexagram of Venus. 6.2 Go to the South-Southwest. Make the hexagram of the element. Make the hexagram of Mercury. Vibrate the name of the corresponding Senior. 6.3 Go to the North-Northwest. Make the hexagram of the element. Make the hexagram of Jupiter. 6.4 Complete the first triangle by returning East. 6.5 Go to the West. Make the hexagram of the element. Make the hexagram of Mars. 6.6 Go to the North-Northeast. Make the hexagram of the element. Make the hexagram of Luna/Earth. 6.7 Go to the South-Southeast. Make the hexagram of the element. Make the hexagram of Saturn. 6.8 Complete the second triangle by returning to the West. 6.9 Return East. Circumambulate, going directly from each point to the next to form a hexagon, gathering up the powers of the planets as each hexagram is passed. Go deosil for theurgic workings, widdershins for thaumaturgic workings. 6.10 Upon reaching the East again, move to the center of the circle, spinning about the body's vertical axis as you go. Spin in the same direction as the circumambulation. 6.11 Move slightly away from the center and turn to face it. Draw the hexagram of the element in the middle of the vortex. Draw the hexagram of Sol in the middle of the vortex. Vibrate the Name of the corresponding “Elemental King”. 7.1 Return to the center of the circle. 7.4 Silence the mind and perceive the result of the work. 0.0 I had two main objectives in writing this ritual. The first was to adjust the symbolism of the G.D. version so that it fully reflected the INRI formula. While the G.D. version starts with INRI, the primary symbolism is based on the formula of IAO. These two formulas are superficially similar but far apart in their detailed symbolism and areas of applicability. IAO is a generalized formula of consecration. One takes a material basis (I = Isis = nature or matter) and applies a magickal energy to it (A = Apophis = energy), raising its rate of vibration and producing an influential radiance (O = Osiris = Sol). There are specialized interpretations for specific methods of working, but most of them can be reduced to this general description of the process. A study of the G.D. rituals shows that they made no distinction between an initiatory ritual applied to a human candidate and a consecration ritual to charge a talisman. The candidate was considered to be mere “base matter” whose nature could only be changed by application of an external force. On the other hand, INRI is a both a creative and an initiatory formula. As a creative formula, it shows the steps in the creative process as they are performed by either a man or a god. As an initiatory formula, it describes the stages of the path of initiation as they are experienced by the individual who is actively seeking to raise his own level of consciousness, not as a passive recipient of external force, but as the instigator and prime mover of the work. Beyond this, INRI reflects processes that are at the root of all human behavior and have pervaded every area of human activity at least since the beginning of our recorded history. The symbolism of INRI is dealt with briefly further on in these comments. An expanded treatment of the formula is presented in my paper Set / Horus, for those who wish to consult it. My second objective in revising the Hexagram ritual was to produce a version that was suitable for use with the Enochian Calls. This current version uses only Enochian divine names, and the symbolism of the circle and directions has been modified to conform more closely to that given in Dee's records of the Enochian magickal system. Complete conformity is not possible, since Dee's interpretations are sometimes contradictory. But I have selected out of his interpretations those that seem most consistent. 0.1 For daily use, the tools and accoutrements should be kept simple. One wand, robe, and lamen are sufficient. Robe and lamen may also be dispensed with under most circumstances. Dee's lamen is appropriate to this work, since it is derived from the names of angels of the planets. For this work, “theurgic” is meant to include any work for self-initiatory purposes, any work to generate links between the magician and more evolved beings (or to invoke such beings to visible appearance), any work in which the magician himself is the object to which the invoked forces are to be applied. “Thaumaturgic” includes all works done with intent to influence mundane events and objects, or persons in their mundane capacities; all works of invoking non- material beings of less than a human level of evolution (demons, elementals, Enochian “cacodemons”); consecrations of talismans and other works involving a material basis other than the magician. 1.0 The symbolism of motion around the circle varies slightly from traditional usage. Both banishings and invocations can involve motion in either direction. It is the intent of the work that determines the direction used. The directions chosen here follow a consistent pattern expressed by the Enochian spirits in my contacts with them. When speaking of circular motion in relation to mundane or external events they always refer to motion in the same direction as the Sun's motion around the zodiac, which is widdershins when viewed from the Earth's northern hemisphere. When speaking of circular motion in relation to initiation or spiritual evolution, they always refer to motion in the direction of the precession of the equinoxes, which is deosil. 1.1 The Enochian word declares the commencement of the ritual. “Amgedpha” means “I begin anew”. This is one of the words spoken by a god at the beginning of any cycle of creation. 2.1 The position of the wand indicates that the flow of energy in this section of the ritual will be in the vertical direction, as opposed to horizontal or cyclical motion. 2.2 - 2.5 INRI is a reversible formula. That is, it is equally valid when read from either end. The standard form of the formula in the first spoken line is the creative or “involutionary” version, representing power descending into manifestation from the Godhead. The reversed form in the second spoken line is the initiatory or “evolutionary” version, representing the re-ascent of man from complete involvement with matter back to the Godhead. Thus the two together represent one complete cycle of existence. The chakras activated as each letter is spoken are the correspondences in the body to the principles represented by the letters. They also roughly correspond to the parts of the Tree of Life with which each of the letters is connected. The activation of the chakras in the order shown should also remind the magician of the cycle of in-breathing and out-breathing of energy in pranayama, which is representative of the same universal cycle in the symbolism of the Eastern initiatory systems. In point 2.5, the four principles of INRI are elaborated by their divine correspondences. The passage of the energy back out of the head in four streams represents the idea that from a cosmic viewpoint the entire Tree of Life is but the physical plane of some higher-order system, and that the manifestation of these principles must have its origin in corresponding activities within that larger system. 3.1 - 3.2 The evolutionary form, IRNI, describes both the characteristic stages of the life of a man in the world (“the passage of man through the Earth”), and the four major stages of the initiatory journey (“the passage from Earth to the Stars”). The first verse in point 3.2 describes these four stages in terms of the classic “Hero's Life” mythos. In its simplest form, this pattern is present in most hero tales from nearly all past cultures. The hero is normally the child of a king, who has been hidden away for his protection during childhood. He grows up ignorant of his future destiny (first “I”, Earth). At some point he is made aware of that destiny, and begins the struggle to make it real. After various battles and confrontations, he wins and becomes the King (“R”, Mars-Sol). At the height of his accomplishment he dies or is betrayed and killed (“N”, Scorpio). After death, he rises to heaven and becomes a god (last “I”, Mercury or Thoth). King Arthur is typical of this mythos. The story of Christ also follows the pattern, save that his powers are magickal rather than martial. The Grail Knights show a Christianized version of the Buddha's story, in their rejection of earthly glory in favor of going through the trials that lead to heavenly glory. Like the Buddha, they voluntarily leave the King's palace, and go into the wastelands in search of their goal. First “I” - the period of normal human life-in-the-world, in which the person sees himself primarily as an earthly or physical being, with the “spirit” or “God” or “Savior” as something outside himself. “R” - That period when the individual's soul begins to make itself felt. The person is thrown into a state of conflict, a constant fight, as his soul struggles to overcome the inertia of his earthly personality and gain control of the lower being. Eventually the Soul succeeds in overcoming the personality and becomes the ruler of the incarnate being. “N” - The soul spends a period of time, often several lifetimes, enjoying its power and the additional influence it has over its affairs in the manifest worlds. But eventually the novelty fades, and the soul begins to perceive that it is not the true ruler of its own actions, that its supposed freedom is largely illusory. It perceives that its existence is the result of the dynamic tension between the material worlds and the power of the spirit. In order to achieve true freedom it sees that must throw off all of that part of itself that derives from the material pole of existence, and become one with the spiritual pole. Since its very existence in its present form results from the interaction of spirit and matter, the act of throwing off the influence of the material portion of its being must inevitably result in the destruction of that form. Hence the symbolism of Death that prevails in descriptions of this stage. Last “I” - Becoming detached from the material side frees the former soul from the wheel of birth and death, and it becomes the Universal Mercury, conscious intelligence free of any individual characteristics; fluid, perfectly adaptable in the Mercurial manner. Eventually it frees itself entirely by drawing itself to a point (the Yod as the Point of Kether), and vanishes from the worlds of our Tree of Life entirely. Thoth is god of the sphere of the fixed stars, which is also the sphere of the Word, or primal pattern on which the eventual manifestation is based. Set is the god ruling the part of the Tree wherein lies the so-called “Abyss”, which is the interface between the essential unity of the supernal triad and the inherent duality of the Ruach. In one myth, Set tears Osiris to pieces and buries the pieces in the Earth. Similarly, in transforming the divine Word into its “material” equivalent in the Ruach, its unity must be translated into paired dualities, or complementary ideas. Thus he “divides the poles”. Horus as a Solar god relates all these divided pieces of the Word to each other, coordinating them into a form which reflects their original intent as closely as is possible within the lower worlds. He produces the soul-form on which the eventual manifestation will be based. His coordinating and activating power draws the matter of the lower worlds into a “magnetic alignment” with the solar form. Isis represents the matter that is drawn to the solar form, which in turn draws more matter to itself, absorbing the power of the solar form, slowing it, and eventually producing a concrete manifestation of the original intent. Dee perceived the magickal circle as a representation in two dimensions of the three-dimensional sphere of the heavens, in much the same way as a horoscope chart.1 A horoscope is a representation of the fusion of macrocosm and microcosm at one specific point in time. Since we are attempting to produce a manifestation of the representatives of the macrocosmic forces in the Tablets, this symbolism seems very appropriate. The four directions in the circle become the four “angles” of the horoscope, with the east being the ascendant, the west the descendant, the south the midheaven and the north the nadir. Because the “angles” of the magickal circle are at right angles to each other, they will always fall into one of the zodiacal quadruplicities, and therefore each angle will always be in a sign whose element is different from the other three. The relative positions of the four elements will always be the same. If we start with Air, then the next angle deosil will always be Water, next after that Fire, and last Earth. a) Since this ritual is primarily intended for invoking planetary forces, the elements should be treated according to their “heavenly” positions, as they are in relation to each other in the zodiac, rather than in their traditional mundane directions. b) The element of Earth should be placed in the north because the planet Earth is always, by definition, in the nadir of a horoscope. c) The element of Air should be in the East, because it is traditionally assigned to this direction, and because Air is the “highest” of the elements in the ordering of the Enochian system and thus should be the first of the four invoked. Also, the ascendant of the horoscope represents the coming of new things into the person's sphere of awareness, and an Air sign, Aquarius, is the zodiacal attribute of the incoming astrological “Age”. The two elements of Water and Fire are then attributed to the remaining directions according to their positions in a zodiacal quadruplicity. This arrangement works well in practice, but is not “locked in stone”. One could find good excuses for using other arrangements. The G.D. arrangement treats the four directions as representing the equinoxes and solstices, so would be equally appropriate. Or one could follow one of Dee's arrangements and attribute the elements to the quarters between the angles rather than to the angles themselves. are simply separated into their two “lines” or columns and bent outwards to make a six-pointed figure. The planets are grouped with the astrologically “masculine” planets to the west and the astrologically “feminine” planets to the east, with complementary planets balanced against each other across the circle. By invoking the planets in two sets of three rather than going in order around the circle, a balance is maintained between the two polarities. Also note that each triad contains planets that are correspondences (within a purely astrological viewpoint) of the alchemical principles of sulphur - mercury - salt. Section 4: The intent of this section is to invoke the most macrocosmic (and therefore most generalized) form of the powers. The Tablet of Union names invoke the spirit of the elements. Each of the Three Names of God for the elements corresponds to an astrological sign, and all four sets together make up the Zodiac. There are actually two zodiacal correspondences for each name, which are used in different circumstances. The reasons for this are too complicated to go into here. For this ritual, the following table shows the correspondences to be used. When projecting into the elemental realms, it would be fitting to visualize symbols appropriate to the zodiacal attributes as an added attractant for the inhabitants. 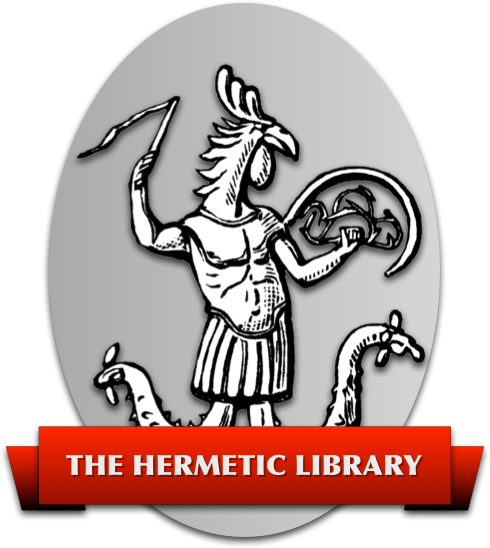 The purpose behind the attempt to see or sense these inhabitants is to create mental links between them and the magician, and to strengthen any links previously established. It is by means of these links that the knowledge embodied in the Tablets can be acquired. It is quite common for an invocation of the Names of God to attract a myriad of small elementals. But they do not have much energy to spare, and are useless as sources of information. Their presence is a sign of success in performing the ritual, but it is the more highly developed “angelic” beings that should be sought during the projections. When using the ritual for banishing, the energy brought into the circle should be visualized as flushing any undesirable influences out of the circle, and then leaving the circle itself by the hexagram through which it came. Section 5: For purposes of this section, the Solar Kings of the Tablets are treated as if they were Seniors of Sol. 7.3 The words mean “God, your will be [or “is”] done.” They serve as a formal indication of the end of the ceremony. 1 Several diagrams drawn by Dee in the course of developing the Enochian system show this horoscopic interpretation. But it is not known to me whether the Angels who provided the system agreed with him. It should be noted that the current arrangement does not follow any of the three or four different arrangements recorded by Dee.